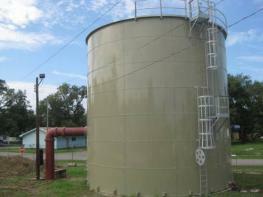 Treatment Plant Updates - Rayne, La. Owner: City of Rayne, La. Engineering Firm: Mader Engineering, Inc. This project consists of improving the water treatment plant by installing a new steel bolted ground storage tank, wet well, piping, pumps, and control panel. This job is scheduled to be completed in October 2009.